Our first night in Gerupuk was one of fun and feasting. Dane and the guys treated us to beers as we enjoyed our shore leave. It turned out that Dane has been living in Lombok for a few years now and coordinates a few of the surf guides in town. Gerupuk is popular with backpackers due to the cheap surf schools and range of surf on offer. Breaking waves appear all around the bay from small white waves on washing over hidden sand bars to giant green waves slamming close to the rocky headland at the mouth of the bay. Dane and his Lombok son were kind enough to introduce us to a group of Swedish birds who had been having lessons in town for a few days and we made plans to meet up for a surf session the following morning. The sheltered bay offered something of a rarity an interrupted night’s sleep and after a swift breakfast we regrouped with Dane and the girls for some surfing. Sadly a slack tide meant the conditions were pretty crap in Gerupuk on this occasion so Storm offered to treat our party to a day trip to Ekas, a bay East of Gerupuk which promised to offer true Lombok tranquillity away from any tourism. 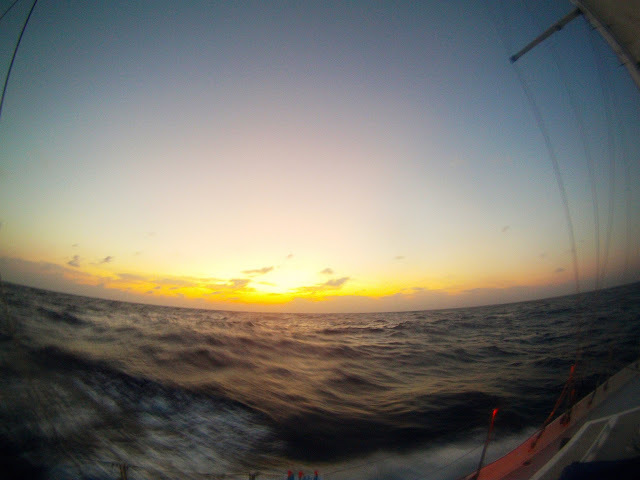 The sail to Ekas was easy enough as the sea remained calm and the weather warm. The famous rugged coastline continued and as someone who always enjoyed Geography and Geology I couldn’t help but be impressed by the range of weathered natural structures. As we sailed close to the isle of Ekas it became apparent to all that Dane had not overestimated the area. The scar on the landscape that are so prominent on the western side of the island are non-existent leaving only small scale farming of rice, livestock and sea life. The hotels and guesthouses that can be found all over the region are nowhere to be seen although as from what Dane told it wouldn’t be long before the developers move in. What we witnessed was a scene that few outsiders ever get to see and it was all due to the Strikly Bizness. Despite the lack of tourism our first surf spot was a little crowded as the local lads wasted the day away. After my briefly successful surf in java I was confident I could move up to a hard board. It’s amazing how a combination of beer and trying to impress some chicks makes you forget your limitations and in my case it’s that I have possibly the worst balance of anyone on the planet. That being said I’m pretty confident I can face plant better than most. Whilst Ben, Josh, Dane and Storm spent the afternoon showing off their skills developed over a lifetime of living by the coast I spent the same time working on my impression of a sock in a washing machine and was quite pleased when the call finally came to return to the yacht after being pommeled amongst the shallow, rocky shoreline. With the surfing finished for the day and the sun setting we sailed slowly back to town with the Bintang flowing and without a care in the world. After all the sleepless nights it was nice to finally see what all the effort was for and I can truly see the appeal of purchasing a yacht and the freedom it gives you to explore (if you have the money). For Maria, Frida 1, Frida 2 and Laura the day was a nice trip towards the end of their Indonesian holiday. Our last night in Lombok was a good time to reflect on the last few days and I’m truly thankful that fate and luck gave us the opportunity to return to the island and give it the second chance it deserves. Lombok remains Bali’s sleepy neighbour and I really hope the rate of development for tourism doesn’t take away the tranquil, relaxed pace of the island. Backpackers don’t visit this region for huge piss ups, foam parties, McDonalds or western influences they come for the nature, relaxation and slow paced lifestyle and I really hope that continues for many years to come.